It was an easy decision to come back to the centre says Charles Belcher, CEO of Starbucks. Photo supplied. Starbucks is returning to Botany Town Centre in late autumn 2019. 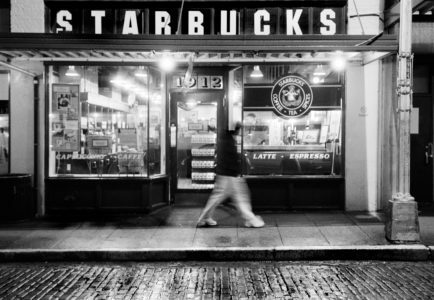 Before closing its previous store, Starbucks was at the centre for 16 years as one of more than 20 stores around New Zealand. The new store at Botany will be the 23rd. Charles Belcher, CEO of Starbucks in New Zealand, says Starbucks has deep roots in the Botany community. “It was an easy decision to come back to the centre and we are very excited to be part of this newly-developed precinct. Like most of our stores, the Botany store had somewhat of a cult following, and since we closed we have fielded constant requests to know when and if we will reopen,” he says. He says it’s been a long time since there was a new store fit-out in New Zealand. “Starbucks store designs have developed considerably since we last opened or renovated a store in this country, so people can expect something quite different to what they have seen of Starbucks in New Zealand,” says Belcher. “Our stores are intrinsic to the Starbucks experience, and store design remains the strongest physical expression of the innovative thinking and creative spirit behind our brand. Botany Town Centre opened in 2001 and quickly became an integral part of the east Auckland community. Currently Auckland’s second-largest shopping centre by lettable area, the centre’s vision is to continue to be New Zealand’s pre-eminent town centre that incorporates quality retail, lifestyle and leisure offers, and an excellent investment opportunity for investors.